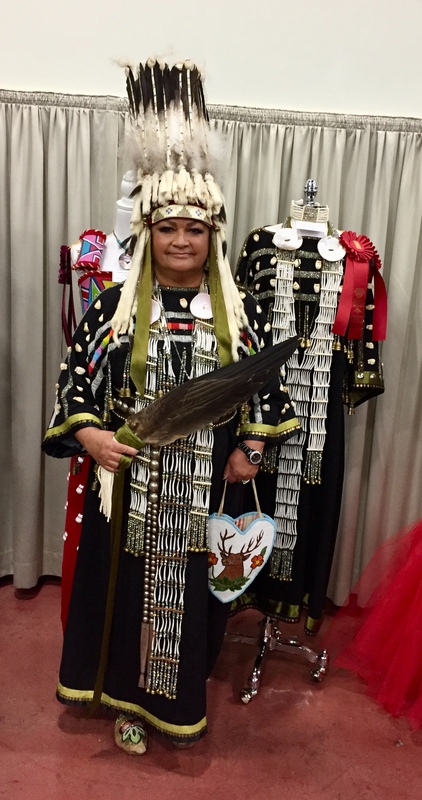 At the 59th Annual Heard Museum Guild Indian Fair and Art Market, Catherine was awarded Second Place for her Elk Tooth Dress (right) and modeled her own work in the Second Annual Heard Museum Fashion Show (left). 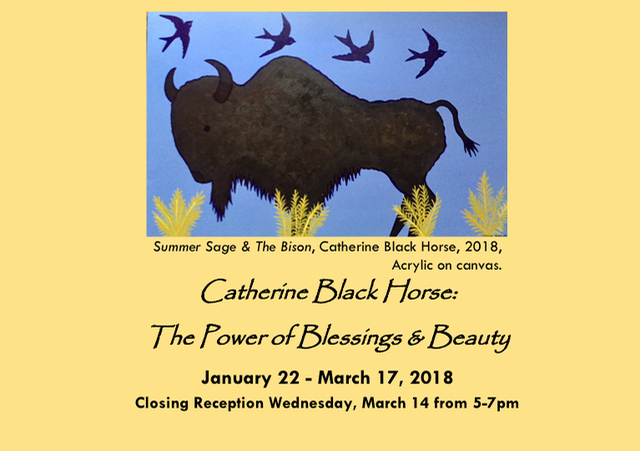 The Paris Gibson Square Museum of Art in Great Falls, Montana features Catherine’s latest paintings and dresses in the exhibition “The Power of Blessings & Beauty” from January 22 through March 17, 2018. 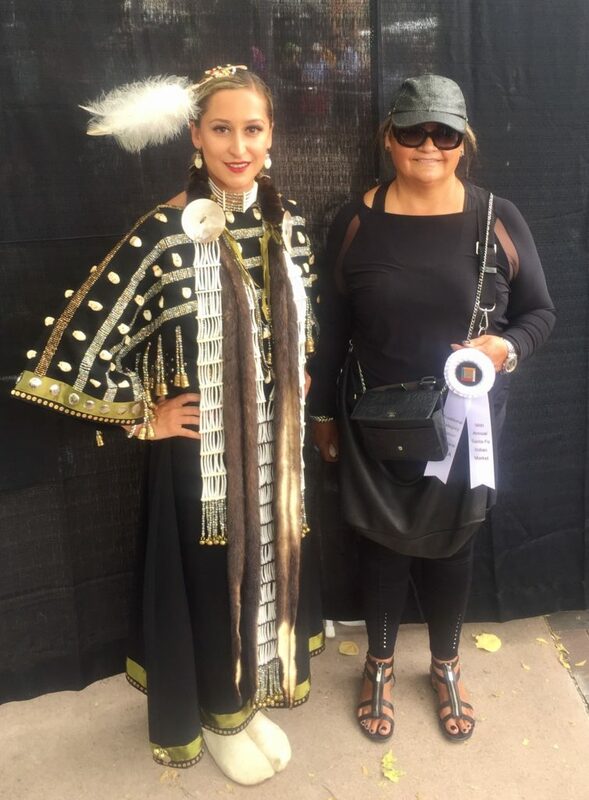 Catherine’s “Elk Tooth Dress” won Second Place in the SWAIA Traditional Fashion Show at the 96th Annual Santa Fe Indian Market. 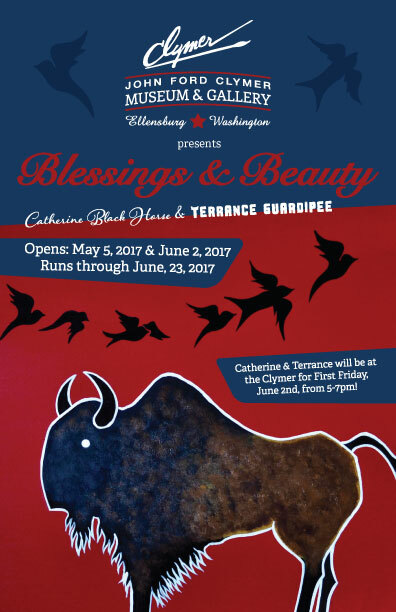 The Clymer Museum’s “Blessings & Beauty” exhibit features the paintings of Catherine Black Horse. 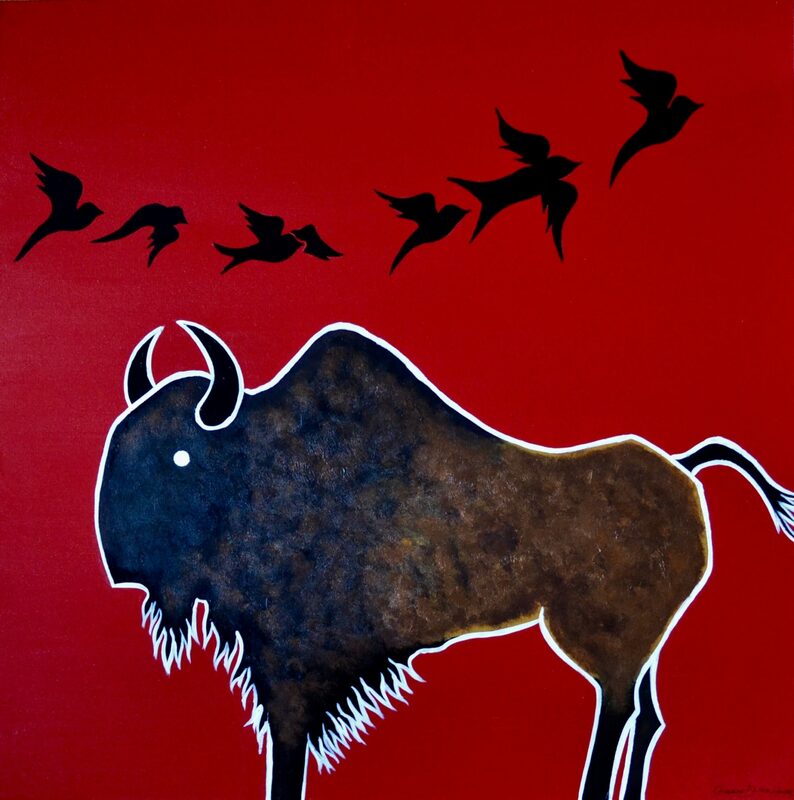 Catherine will be attending the June 2, 2017, First Friday opening from 5:00 p.m. to 7:00 p.m. 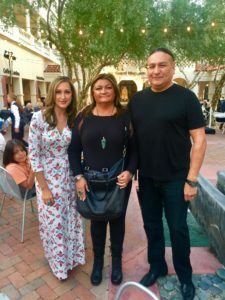 The exhibits runs through June 23, 2017. 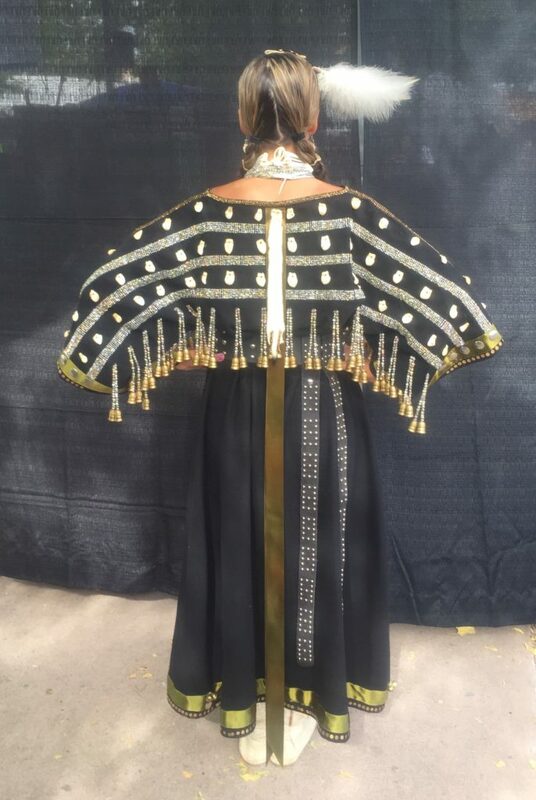 For more information on this event, please visit the Clymer Museum website. 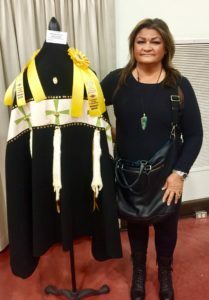 The Heard Museum Guild recognized Catherine Black Horse with an Honorable Mention award for her “Star Beings Holy Ceremonial Robe” at the 2017 Heard Museum Guild Indian Art Market.